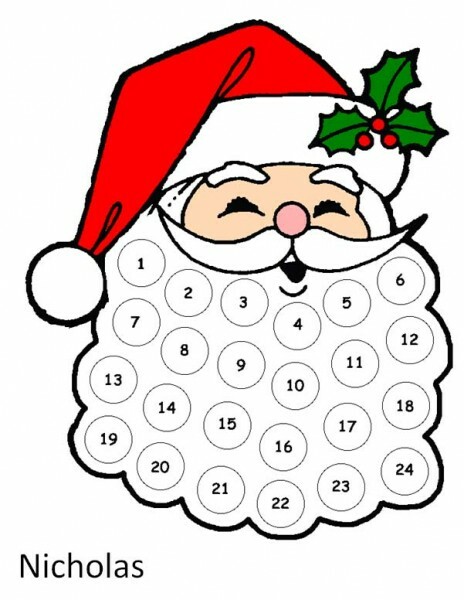 A very big thankyou to reader Kerry T for sharing her version of a Christmas countdown/advent calendar. 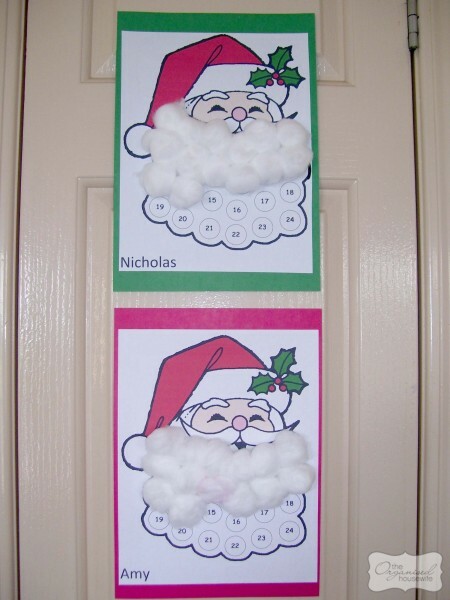 The image can be personalised with your child’s name, print image then each day add a cotton ball to his beard. Very sweet! Kerry found this wonderful countdown at Kaboose, download original here. Thank you! I have just printed one each for my two very excited girls who can’t wait for Christmas!!! This is so cute!! My girls will love this, thanks for sharing! Sweet isnt’ it, hope they are enjoying it! I love this idea! My kids will have a ball doing it and no chocolate first thing in the morning!! love it! i was keen on an advent calendar for my 3yo but not keen on chocolate for him! I’m so pleased to find something that doesn’t involve chocolate and money. With 4 children (each wanting their own Advent Calendar) it would cost me an arm and a leg. Thanks so much for something that is cheap and enjoyable. it is such a sweet idea!